Now that fall is finally here and the temperatures are slowly dropping, it's time to swap out your lightweight summer pieces for heavier fall and winter-friendly staples; we're talking sweaters, boots, and, today's focus, warm plaid blazers you can wear with everything this season. It's the versatile, wear-with-everything item you didn't know you needed—until now. 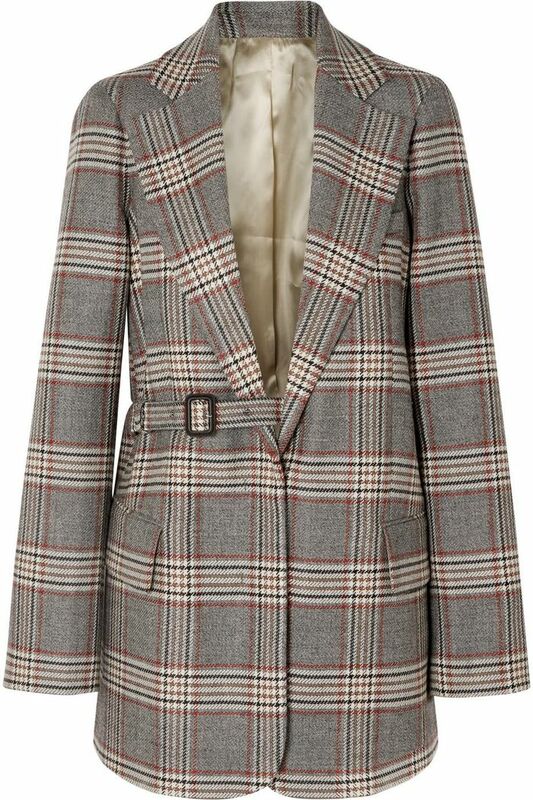 Which is why we created an edit of the coolest plaid blazers, narrowing down our edit to 25 picks that are guaranteed to be a hit. There's a bright yellow one that's very Clueless—because the '90s are still so in. And there's the perfect oversize blazer you can throw on over your sweater. Whatever your style preference, you'll surely find one to match your taste. We're loving anything oversize right now. The belt on this one is so cool. This one's belted, as well. Pick a wool-blend blazer to wear nonstop during the cold-weather months. An unusual color—but we're fond of it. Throw this one over a white button-down. Great for the office or a day of shopping. We're loving this green hue. How amazing are those buttons? This one will fit over your most oversize sweater. A longer pick we're eyeing. The elbow patches are a great addition. The fit on this one is just perfect. Next up, shop 20 plaid shoes to pair with your plaid blazer this fall.